Israel's hopping lander. Image courtesy of SpaceIL. Former Google Lunar X-Prize team SpaceIL have announced a launch and landing date via social media and other outlets. If all goes to plan, then Israel will be the fourth country to make a controlled landing on the Moon, after the Soviet Union, America and China. 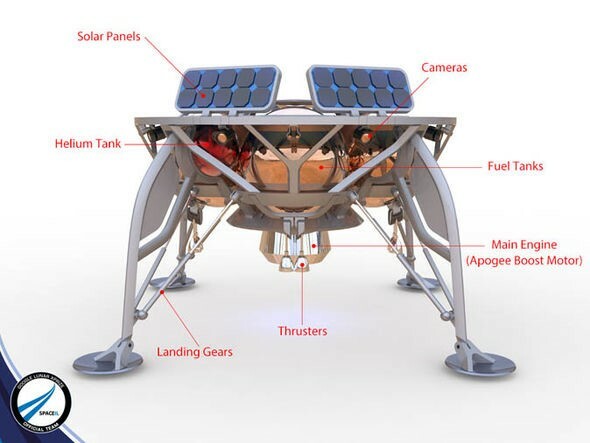 The Israeli rover, designed for the Google Lunar X-Prize (GLXP) by Israeli non-profit SpaceIL and aerospace company Israel Aerospace Industries will launch onboard a SpaceX Falcon 9 in December 2018 with the landing to occur in February 2019. The 95 million USD project will see the 2 metre diameter, 585 kg lander orbit the Moon for 2 months before touching down on the lunar surface where it will use its hopper mechanism to bounce across the Moon’s surface searching for signs of nuclear fuel and water. In addition to the scientific goals for the mission, the lander (named informally as “Sparrow”) will send video footage and photos back to Earth as well as plant an Israeli flag on the Moon. SpaceIL were one of five teams to make it to the final stages of the GLXP with the others being Moon Express, Synergy Moon, Team Indus, and Team Hakuto. The GLXP was announced in 2007 and called for privately funded teams to be the first to land a robotic spacecraft on the Moon, travel 500 meters, and transmit back to Earth high-definition video and images. Additional prizes were offered for any team to send footage back of historical landing sites, such as the site of Apollo 11. The prize ended in early 2018 when no team was able to make the deadline, after it had already been previously extended to allow teams to secure launch contracts. However, with so much achieved by the remaining teams already, many are continuing on the Moon journey, albeit without the promise of a pot of cash at the end of it. The X Prize Foundation has meanwhile decided to continue with the competition, albeit with different parameters and without a cash prize – it is on the lookout for sponsors. The other Asian teams from the final five GLXP competitors are also looking at going all the way to the Moon, and here is a summary of what they’re currently up to. Team Hakuto were the Japanese team who had also made the final of the GLXP. They had initially planned to launch their lunar rover Sorato in 2017 onboard a PSLV launcher, and had agreed to share some of the launch costs with Team Indus. After being delayed twice, it was reported that ISRO had cancelled the launch contract with both Hakuto and Indus. Sorato rover. Image courtesy of Team Hakuto. These delays pushed the launch passed the contest deadline, and like the other teams, Hakuto had to take a bow. 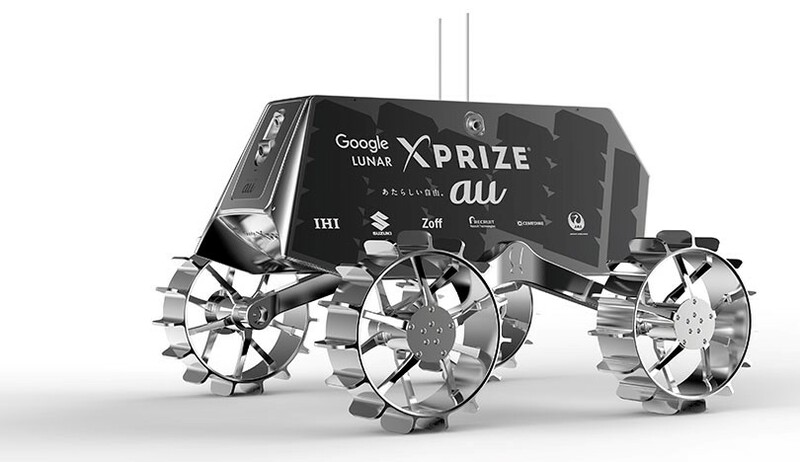 Sorato will not be wasted however, as the team have announced that they will be hitching a lift with Chile’s AngelicvM rover, which will both be delivered to the lunar surface with the aid of former US GLXP team Astrobotic’s Peregrine lander. Sorato, the actual flight model, has evolved significantly along its design: the current and final version consists of just one 4 kg rover, equipped with its cameras and radiation sensors (the latter being designed by JAXA, which marked the first time the agency had collaborated with a private entity). Hakuto is planned to launch in 2020, although no official date has been announced yet. 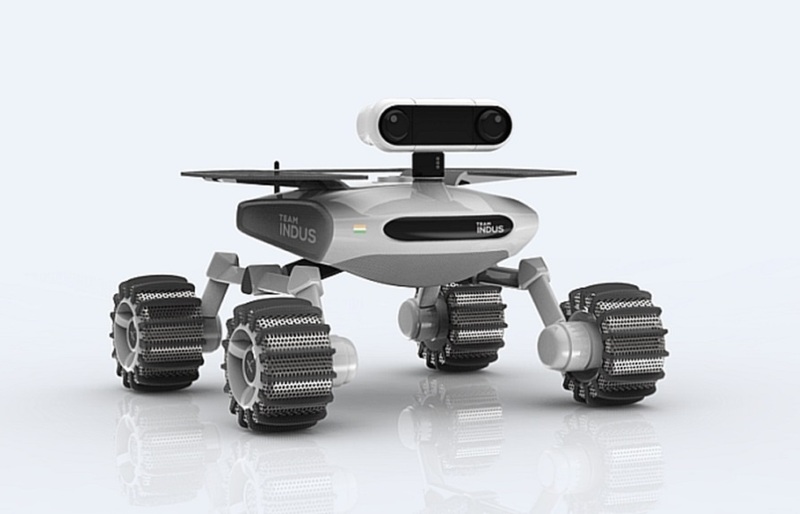 Team Indus, were India’s team to make it to the final of the GLXP, but experienced delays to their planned launch with Team Hakuto, as mentioned previously. Team Indus is optimistic and is carrying on with their Moon plan. It has a lander and a rover, named HHK1 and ECA respectively. Image courtesy of Team Indus. The lander has a variety of instruments including cameras (the Color CMOS Camera for Space Exploration (CASPEX) micro-cameras were provided by CNES, which is the first time the French agency has collaborated with an Indian company) and a Lunar Ultraviolet Cosmic Imager, developed by the Indian Institute of Astrophysics. They are currently aiming for a 2019 launch but have not announced a launch provider. Although the GLXP is over, with the prize going unclaimed, these companies are steaming on ahead with their projects anyway, and making the most of their projects in the name of lunar exploration. The GLXP was always intended to spur innovation and competition, and even though the prize purse remains uncollected, these teams are showing that space exploration is moving away from the realm of governments. The first footage will be send back in February 2019. And if the other teams stay on track, we will see more after that. 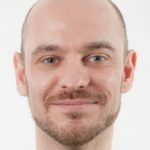 Phillip Keane is an aerospace engineer and journalist from the UK. He is an alumnus of NTU Singapore where he studied at the School of Mechanical and Aerospace Engineering. He loves all things space.